We first highlighted the creative prowess of Detroit born, Austin based Mike Melinoe only 10 days ago for the release of his optimistic single Anything. 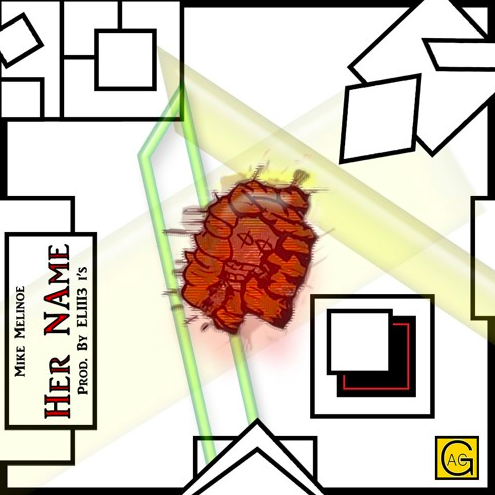 Today, we are proud to premiere his latest effort, Her Name. Capitalizing on his famously positive energy, Melinoe uses this scope to explore the trials of life. Featuring production from ELIII3 i’s, the ethereal beat sets up the perfect landscape for Melinoe’s cognizant flow. With incredibly conscious and mindful lyrics, the substance is key with Melinoe. He’s doing more than simply releasing songs, he’s working on spreading an undeniable energy from coast to coast and eventually, across the globe. He approaches his work with a sense of realness and authenticity that is often overlooked in today’s hip-hop game.